One more year draws to a close, and this one I feel just went by too fast. I guess you get that feeling as the years pass by and there is so much you want to do, and just do not find time for it. New year’s eve has varied traditions across various cultures – for some it is wearing polka dots and eating round fruits, while for someone else it is wolfing down handfuls of grapes as the clock strikes 12! Here, I am not dwelling into the same old what should be your new year resolution? You should resolve to live a healthier, better more spiritual life, type of gyaan! Neither am I getting into specifics – build six packs, run the half marathon, write a book, etc.. I am rather wondering why do most of us fail to keep up with those resolutions? What are the special ingredients to make and keep up the New Year resolution for the whole year? I think it is more to do with the resolution setting process rather than the resolution keeping process. We set ourselves aims that seem good in writing and thinking, but are so distant from our present realities that more often than not, they just end up remaining on the pieces of paper we scribble them on. So, what are the rules to make those resolutions? If you have never been a morning person, deciding to wake up every morning at 6 to go for a run will never work. One change of a date from 31st to 1st January is not going to change an inherent habit! Rather, attempt going for a run every night. Try waking up in the morning, but to do something that you like – like writing, reading, listening to Music. Once the morning waking up habit kicks in, start Running in the morning. Don’t resolve to run 21KM right from day 1. It requires practice even by seasoned marathoners, once they are out of practice. 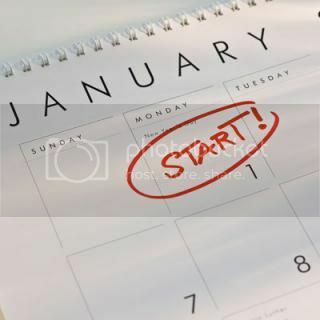 Warm up the first month, get going in the second month and by the third month you are ready kicking in. You want to quit smoking? Great! But well, easier said than done. There is a complete lifestyle that you have around this habit, and all of it needs to change gradually. If you are always amidst smokers, that will have to change atleast in the beginning to help you keep away from drifting. If you are a “Chai + Sutta” kind of person, you would have to think of working around a vice along with tea. The association needs to dissolve gradually and then life changes to a new normal. I have known people, and I myself am accused of the same mistake – too many resolutions, all of which require substantial time investments. It is just not possible. Choose your resolves and prioritize. I know you would want to hit the gym, start running, pick up a sport, learn to play the guitar and also write that elusive book. Well, you also have a job to keep. All of it ain’t happening in one go. Choose, decide and prioritize. Make your cravings work for you. Are you a stickler for chocolate? Well, promise yourself a bit every time you complete a milestone in your miles covered. This way, both the resolves are kept in check. Charles Duhigg, in his bestseller – The Power of Habit, details the simple process of habit formation : Cue – Action – Reward, in a circular loop. This is probably the most important thing to be planned to help you keep going. Hoping that the above pointers would help you sharpen you resolutions. 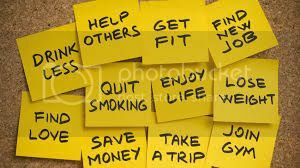 Do mention in the comments column about your resolutions and your plan to keep them.